The King’s College print designs are part of a series of promotional materials. 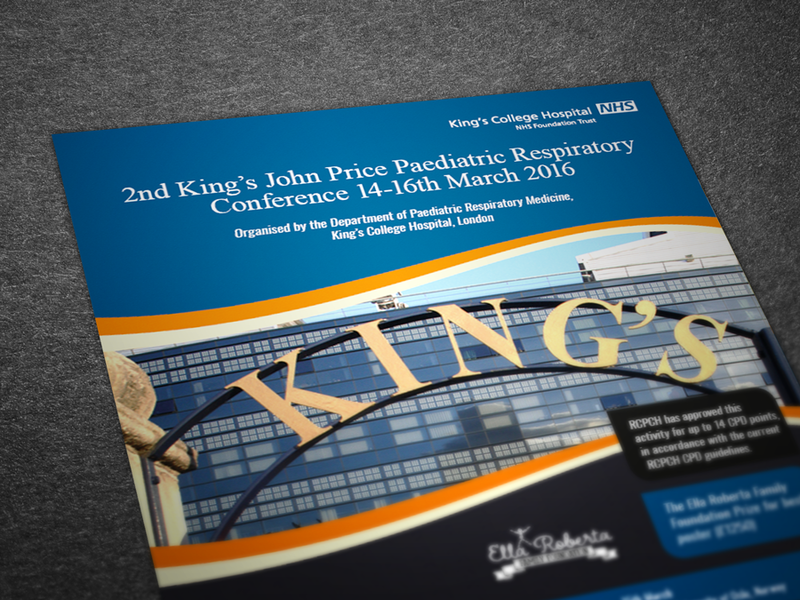 The flyer and bi-fold were to promote the John Price Paediatric Respiratory Conference held in London, 2016. The flyer was to give an overall view of the conference whilst the bi-fold gave more details of the two-day event. Respiratory problems are one of the main causes of paediatric presentation to primary care, and respiratory disease is the fifth most common cause of death between the ages of one and fourteen years in the UK. The John Price Paediatric Respiratory Conferences are an opportunity for healthcare professionals to find out the latest thinking on paediatric respiratory care.